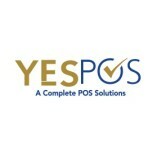 YES POS, a Dubai based Software Company that offers complete point of sale solutions for different industries and businesses. We are the division of Jumeirah Lifestyle General Trading LLC. We are the leaders in the POS Software & Systems... industry. We are serving our clients from Dubai, Abu Dhabi, Sharjah, Ajman, Al Ain and all across the UAE. We cover retail business, restaurant, hotels, supermarkets, groceries, pharmacies, hospitals, cafe, jewelry shops, parking, garages, warehouse etc. Their supermarket and grocery software's quality is perfect in quality and design. Their product price is reasonable. Overall they are the best retail management software Agency in Dubai, UAE. Leaders in the field of business management software and ERP Software solutions. Their point of sale solutions is the best among retail and supermarkets in Dubai, UAE.